Ed. Note: We spoke about the difficulties in Franklin Square back in 2011. 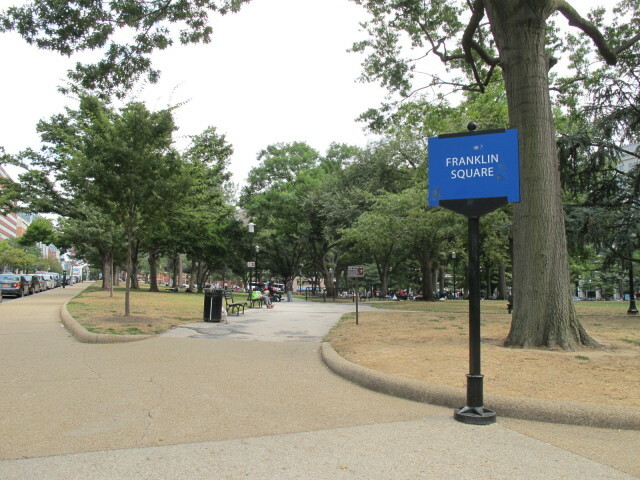 “The National Park Service has cleared the way for the transformation of Franklin Park (also known as Franklin Square) into an active, flexible, sustainable and historic urban park, finding that this effort will not adversely impact the natural or cultural resources of the park, which dates to 1832. 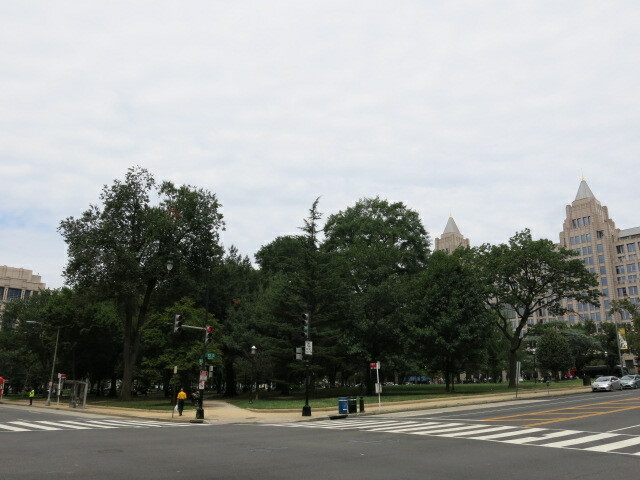 In accordance with the National Environmental Policy Act, the National Park Service, in cooperation with the National Capital Planning Commission and working with the District of Columbia and the DowntownDC Business Improvement District (BID), completed an Environmental Assessment for the Franklin Park Vision and Transformationplan (EA). Based on analysis of the EA and consideration of public comments, the National Park Service determined that the work in Franklin Park will not result in significant impacts to the environment. The National Park Service has released a Finding of No Significant Impact (FONSI) for the preferred alternative outlined in the EA;the FONSI is the decision document that completes the initial planning phase and ensures the project complies with the requirements of the National Environmental Policy Act and the National Historic Preservation Act. The park, which is served by Metro, 32 Metrobus lines, and two DC Circulator routes, sits amid a thriving commercial district and a growing residential population. The National Park Service chose “The Edge” action alternative design, which includes: revisions to the center plaza, with a newly-designed interactive fountain;the addition of a play area;the addition of a pedestrian mall along the southern edge of the park and other revisions to the hardscaping;the addition of a café and other basic amenities;and landscaping improvements. “The Edge” is designed to rehabilitate and enliven the park with enhanced program elements and circulation improvements and still retain much of its historic layout. champagneghost Dukes & Slash Run! nate Culvers is so damn good. Pixie Shake Shack's crinkle cut fries are the best. The end.